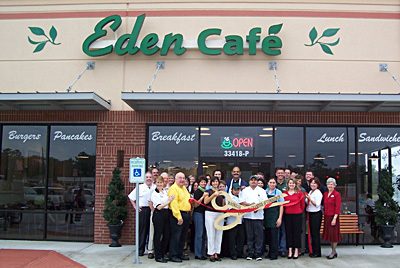 Eden is assembling a team of individuals that love the restaurant business and have a passion for customer service. Download the application (if you don't have Acrobat Reader, click on the Acrobat icon to download your copy) or contact us at employment@edencafe.net. To apply as a Hostess, Server, Cook, Busser, or Dishwasher you must apply in person at the restaurant Tuesday - Friday from 3 pm to 5 pm. Come see what we're all about. Equal Opportunity Employer.